Senior Russian intelligence and political officials discussed last summer how to exert influence over Donald Trump through his advisors, according to “three current and former American officials familiar with the intelligence”. 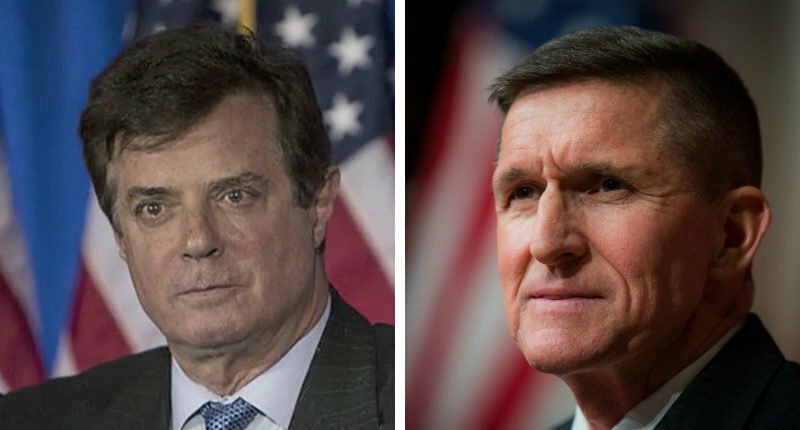 The sources told The New York Times that the Russians focused on Paul Manafort, then the Trump campaign chairman, and Michael Flynn, a top advisor who later became National Security Advisor. Some Russians boasted about how well they knew Flynn, who had been courted by Moscow with more than $65,000 to his consultancy and a seat alongside President Vladimir Putin at a ceremony for Russian State broadcaster RT. Others discussed using Viktor Yanukovych, the deposed President of Ukraine living in exile in Russia, who had worked closely with Manafort. The intelligence was gathered from July as US services began Russian hacking, disinformation, and influence operations during the 2016 US election. The material was passed to the FBI, which had opened the inquiry which is ongoing. It is unclear whether the Russian officials tried to directly influence Manafort and Flynn. Flynn has refused a subpoena from the Senate Intelligence Committee for documents. The committee has now demanded records from two of Flynn’s businesses, saying these are not covered by the 5th Amendment against self-incrimination. Manafort has said he will hand over his documents to the committee. The Trump Administration’s draft budget, presented Tuesday, is based on a $2 trillion double-counting error. The budget claims that Trump’s “biggest tax cut in history” will not reduce revenue because it will spur 3% growth per year over the next decade — an overly optimistic project, in the view of many economists — with this expansion offsetting the loss in Government receipts from the tax reduction. But then the budget goes further to say that the same growth will *add* $2 trillion to Government finance — a double count. Treasury Secretary Stephen Mnuchin’s response? I’m aware of the criticisms, and I would simply come back and say, look, there’s other places where we were probably overly conservative in our accounting. We stand by the numbers. We thought that the assumption that the tax reform would be deficit-neutral was the most reasonable of the three options that we had. We could either assume that our tax reform was deficit-neutral. We could assume it would reduce the deficit. We would assume it would add to the deficit. And given the fact that we’re this early in the process about dealing with tax reform, we thought that assuming that middle road was the best way to do it. The Trump Organization withdraws a promise, given at the time of Donald Trump’s inauguration, to hand over profits from representatives of foreign governments and state entities staying at Trump hotels. To fully and completely identify all patronage at our Properties by customer type is impractical in the service industry and putting forth a policy that requires all guests to identify themselves would impede upon personal privacy and diminish the guest experience of our brand. It is not the intention nor design of this policy for our Properties to attempt to identify individual travels who have not specifically identified themselves as being a representative of a foreign government entity on foreign government business. Some may operate through state-owned and state-controlled entities in industries such as aerospace and defense, banking, finance, healthcare, energy and others, which may not be reasonably identifiable as foreign government entities, and therefore may not be included in our calculation of profit to be donated. The Organization had made its pledge to avoid any issue with the Constitution’s Emoluments Clause, which prohibits any benefit from transactions with foreign governments while serving as President. Despite the change in its approach, the Trump Organization sees no consequences for its head: it maintains that hotel fees — along with other money Trump’s companies make from doing business with foreign governments — don’t amount to emoluments but are value-for-value exchanges. Senate Majority Leader Mitch McConnell talks down the chances of a GOP bill repealing and replacing ObamaCare. The non-partisan Congressional Budget Office estimated on Wednesday that the House-passed bill will result in 23 million people losing health insurance coverage by 2026. McConnell said prospects for passage of major tax legislation were “pretty good”, claiming that while difficult, “[it is] not in my view quite as challenging as healthcare”. The Trump Administration says a controversial self-proclaimed selection from Ambassador to the European Union was never a candidate. Theodore Roosevell Malloch raised European concerns when he said that he wanted to break up the EU, encouraging members to follow Britain in leaving. Twice in February, EU foreign policy chief Federica Mogherini raised the issue with Secretary of State Rex Tillerson and with Vice President Mike Pence. She was told that no decision on a new ambassador had been taken, and no further information was sent. Only last week, speaking in Poland to top politicians who called him “Mr. Ambassador”, Malloch pledged to convey their concerns to Mr. Trump. This week he addressed a gathering in Brussels that billed him as “the possible new U.S. Ambassador to the EU”. Told after the Brussels conference that the Trump Administration denied he was a candidate, Malloch said: “I’m not aware of that.” He said to reporters that he had interviewed twice for the position at Trump Tower and maintained close contacts in the White House. A White House official repeated that Malloch never was under consideration. The Trump administration has yet to fill dozens of important posts, including ambassadors to the EU and NATO. Malloch has said that he has been knighted by Queen Elizabeth II, nominated for an Emmy, and appointed to the board of the World Economic Forum — all honors disputed by the institutions that award them. Housing and Urban Development Secretary Ben Carson says that poverty is a “state of mind” which children take from their parents at a young age. I think poverty to a large extent is also a state of mind. You take somebody that has the right mindset, you can take everything from them and put them on the street, and I guarantee in a little while they’ll be right back up there. And you take somebody with the wrong mindset, you can give them everything in the world, they’ll work their way right back down to the bottom. 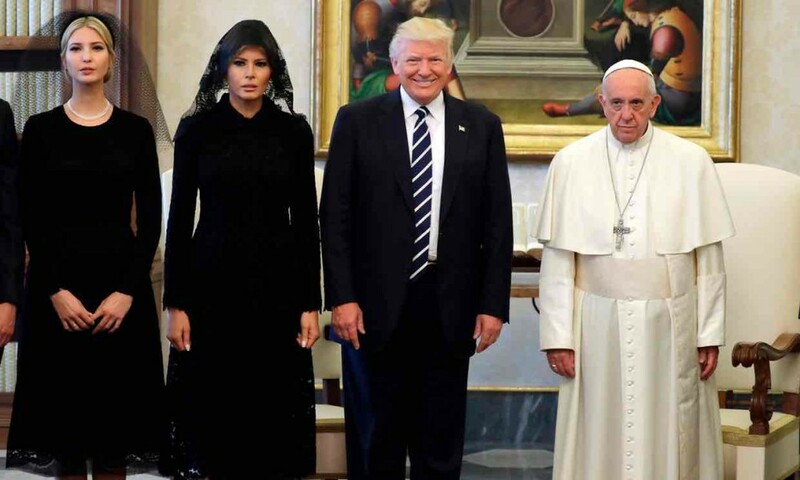 Trump and the Pope had a half-hour private conversation. Trump gave the Pope books by Martin Luther King and the Pope — perhaps in a pointed reference to Trump’s controversial views on conflict and the environment — gave the President an olive branch and a 184-page docket that he wrote about climate change. PreviousSyria Daily: Revival in Idlib City?